The service area of Northern Highland AHEC covers 10,159 square miles or 19% of the Wisconsin land area. The many lakes and forests in the region make it a popular vacation destination for Wisconsin and Illinois residents in the summer months, and for cross-country skiers and snowmobilers in the winter. The Northern Highland region includes just one Community Health Center (Lakewood) and two service delivery sites of the Family Health Centers of Marshfield. It is served by seven rural health clinics and eight Critical Access Hospitals. Rhinelander, Shawano and Minocqua are sites for the UW medical student fourth year preceptorship, and several other communities provide clinic sites for the Primary Care Clerkship. There is one two-year UW college campus in Marinette, but no four-year University of Wisconsin campuses in the region. The Wisconsin Technical Colleges serve students at four locations. 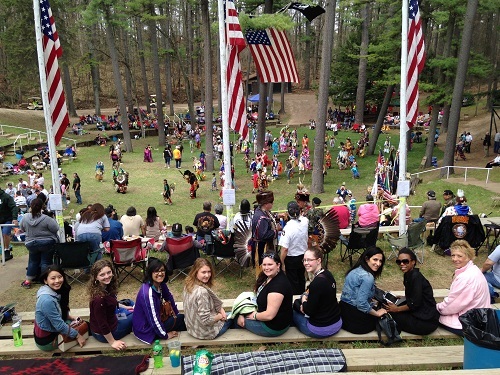 The College of the Menominee Nation in Keshena offers a pre-BSN program in conjunction with several UW campuses outside the region. The combined populations of the Northern Highland counties exceed the state average of persons aged 65+ by more than 6%. The percentage of persons living below poverty in the Northern Highland region also exceeds the state average. The Northern Highland region is home to five Native American communities—the Sokaogon Mole Lake Chippewa, the Forest County Potawatomi, the Lac du Flambeau Band of Lake Superior Chippewa, and the Stockbridge-Munsee Band of Mohican Indians and the Menominee. The Great Lakes Intertribal Council headquarters, serving tribes across the state, is located in Lac du Flambeau. In the UW School of Medicine and Public Health report Wisconsin County Health Rankings 2006, the Northern Highland counties were almost all rated below the state average. Under the category Health Outcomes (based on excess deaths and self-reported health status), 80% of Northern Highland counties ranked in the bottom half of the state. On the other key measure, Health Determinants (reflecting health care, health behaviors, socioeconomic factors, and physical environment), 70% of Northern Highland counties ranked in the bottom half of the state. Florence, Forest, Langlade, Lincoln, Marinette, Menominee, Oconto, Oneida, Price, Shawano, and Vilas.